Polyxene Kokinos MD, a Board Certified Vascular and General Surgeon of South Bay Vascular Center and Vein Institute was named today as the new medical director of the O'Connor and St. Louise Hospital's wound care clinics. 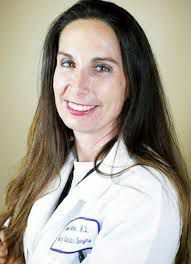 Dr Kokinos brings over 25 years of vascular surgery experience to her new position as medical director and is recognized as a national expert in the treatment of peripheral vascular and arterial disease. Dr. Kokinos has a special interest in the treatment of lower extremity and deep venous disease and is recognized as one of the country's leading experts in this area. Currently, Dr. Kokinos serves as the Chairman of the Cardio Vascular department at Good Samaritan hospital in San Jose. and is honored to accept her new medical directorship at O'Connor and St Louise hospitals. Highly sought after as a speaker, over the past 4 months Dr. Kokinos has presented her research in deep venous disease at the OEIS national meeting in Miami, Fl. ; Western Vascular Society in Colorado Springs, Co; Northern California Vascular Vascular in San Francisco, CA. ; and has recently accepted an invitation to speak at the nations largest gathering of Vascular Surgeons at the American Venous Form of the Society for Vascular Surgeons scheduled for New Orleans, Louisiana in Feb of 2017. Together with her Vascular Surgeon Partner, Dr. Carlos E. Pineda, Dr. Kokinos is excited to expand the current wound care practices at O'Connor and St. Louise Wound Care Clinics to include a specific focus on Chronic Limb Ischemia and Limb Salvage. To this extent, her experience using intravenous ultrasound (IVUS) to help diagnose and to treat deep venous disease, together with her experience delivering state of the art minimally invasive treatments for deep venous disease promises to be an exciting time as she works to transform these regional wound care clinics into world class centers of excellence. Congratulations Dr. Kokinos on this new appointment.